Timothy J Cartwright is a Partner at Fifth Avenue Advisors and Managing Director of the Compass Advisory Group subsidiary. Compass Advisory Group is an M&A consultancy that completes mergers & acquisitions and corporate restructuring for middle market companies. Mr. Cartwright is an active member of numerous local, regional and state level organizations and initiatives. He is the Chairman of the Tamiami Angel Fund I, SW Florida’s first ever Angel Fund and member of the Florida Institute of Commercialization of Public Research’s (FICPR) Investment Advisory Board. Mr. Cartwright is a member of the Board of Directors for the Golisano Children’s Museum of Naples and the Florida Gulf Coast University Foundation. 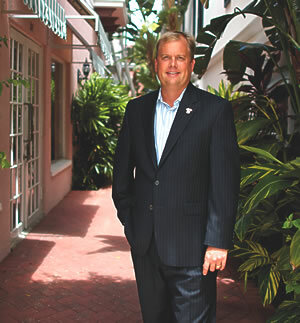 He also serves as a member of the organizing committee for the Southwest Florida Chapter of BioFlorida. He has volunteered frequently for Junior Achievement of Southwest Florida and is a former Director of the Economic Development Council of Collier County, the Florida Economic Development Council, the Gulf Coast Venture Forum and Southwest Florida Regional Technology Partnership. Mr. Cartwright has served or currently serves as a judge for the Florida Venture Forum’s Early Stage Conference, VenturePitch Orlando, i2 Showcase, VentureX startup weekend and ITFlorida statewide awards. He attended the University of Wisconsin as an undergrad and obtained an MBA from Northwestern University Kellogg School of Management. He resides in Naples with his wife, Amy and their three children, Macy, Lydia and Corbin. He is a softball coach, a soccer coach, and an active member of First Baptist Church of Naples.